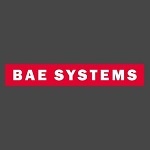 BAE Systems has received a five-year, $79.8M contract to assist the U.S. Navy in the maintenance and operations of electronic, communication and computing platforms used by U.S. and joint forces across the Pacific. The company said Tuesday the award extends its ongoing services to help maintain and operate the Navy’s afloat and ashore command, control, communications, computer and intelligence systems. Under the new contract, BAE will focus on ship-to-shore, shore-to-aircraft and shore-to-shore long-range communications systems, according to Mark Keeler, vice president and general manager of BAE’s integrated defense solutions business. He added the company through its services would help naval, joint, agency and coalition forces enhance communications across the Pacific as well as the Indian Ocean. BAE will also work on the Navy’s narrowband military communications satellite system that supports the service’s communications, including sharing of voice, video and data for all U.S. military branches and other federal agencies. Majority of work on the contract will occur in Oahu, Hawaii, with some tasks in Australia.